Our DNA is a chemical alphabet of A, T, C and G, which together create the book of life. The mapped human genome has opened up incredible possibilities and scientists say we’re on the cusp of the golden age of genomic-based, personalized medicine. How is the genetic roadmap empowering the medical community to find breakthrough treatments? Where is personalized medicine headed? What are the issues that we as a society should anticipate moving forward? 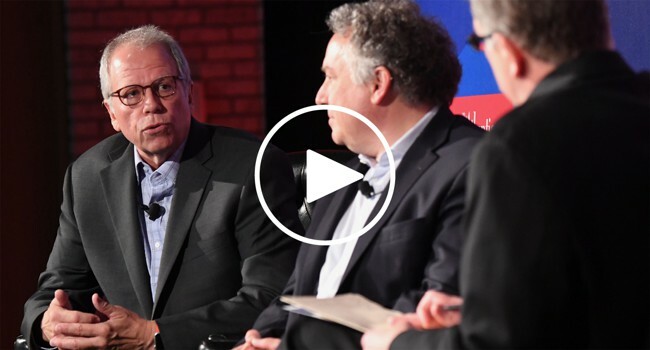 At a forum in New York, The Atlantic gathered key stakeholders in this conversation to discuss the future of the genomic era. The Atlantic will gather stakeholders from public health officials to the medical and scientific community to explore the future of vaccines at a forum in Philadelphia. In the third event of the “Examining Modern Medicine” series, The Atlantic gathered stakeholders, original thinkers and tinkerers from the nation’s innovation capital to explore what it means to put the bio into biotech. In a series of conversations, The Atlantic is exploring the state of modern medicine and the science that has revolutionized treatments. *This speaker is participating in a session that is produced by our underwriter PhRMA and not by The Atlantic's editorial team.